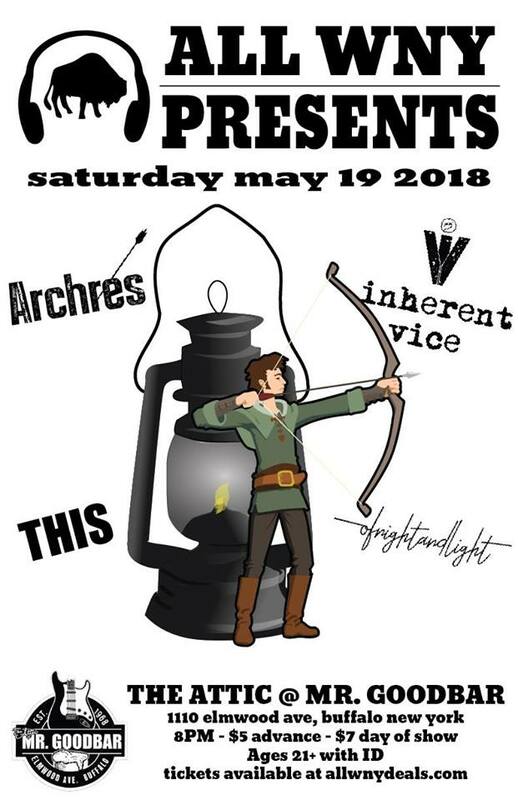 BUFFALO -- All WNY News & Radio return to the Attic at Mr. Goodbar, and we're bringing along Archres, Inherent Vice - band, THIS, and Of Night And Light. Come join us! Tickets are available at the door for $7 -- or right here on All WNY Deals for a mere $5. Just make sure you bring your ID with you (and that it says you're at least 21).